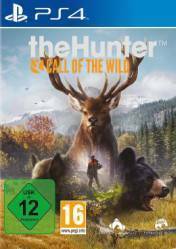 This version of The Hunter Call of the Wild is for PS4 and can be a digital or a physical version. Digital versions may have geographical restrictions so we recommend that you read all the information in each of the stores carefully. This title is a hunting simulator that will allow us to experience the sport of big game hunting like never before. All the action takes place in a huge, open world, reproduced with a superb graphic level and brimming with life, both to give atmosphere and make us believe that we are in the middle of the forest stalking our prey, as the pieces we must hunt, from imposing deer, through all kinds of birds, to the powerful bison. The entire map has 130 square kilometers of land, and we will be able to move freely in search of our hunting pieces. The game offers a unique experience for a single player, but also features multi-player game modes, both cooperative and competitive, where we must get the biggest of the 8 participants who can play simultaneously on the map. There are no comments yet about The Hunter Call of the Wild. You can be the first one!